Please try the download with the manufacturer software. If that does not work either, there is probably a hardware problem (low battery, interface cable broken, bad connection, etc) or the driver is not installed correctly. Make sure you’ve selected the correct COM port. 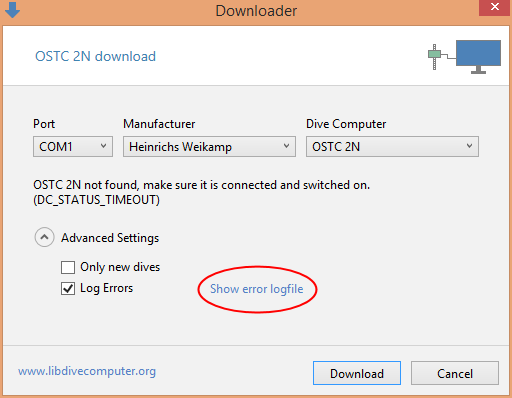 Watch the list when you connect your dive computer to see which port number appears. That is the correct port.